Stress. Anxiety. Demanding. These are the words Kevin Moran uses when describing his first year at Tiedemann Wealth Management. It’s not that Moran didn’t love working for the company from the beginning; it’s that he started in 2008, when the US found itself weathering what many economists have described as the worst financial crisis since the Great Depression. But, Moran also describes that year of his career with another word: confidence. “There was nervousness, yes, but also a confidence in what we could do and the services we provided—as well as that we’d come out of it on the other side in a good place,” he says. That confidence proved not to be misplaced, and it has only grown as Moran has helped the company move in new directions and form new partnerships to expand dramatically in the years since. 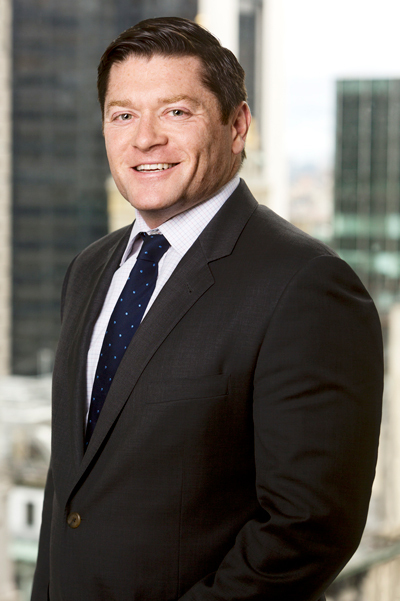 Hired as the new general counsel and chief compliance officer of the company, Moran was asked at the outset to help shepherd Tiedemann from being solely a trust company to becoming a broader wealth-management firm. His specific mandate was to get Tiedemann registered as an investment advisor and build out the compliance program for its new advisory role. This way, the company could be “the one call that a client needs to make,” Moran says. His confidence in tackling this came partly from the firm’s foresight. Because Tiedemann had been “conservatively managed from a balance-sheet perspective,” he says, it was in a good place to rebrand and build out its service to better serve and build trust among its clientele. As the economy slowly regained its footing, Tiedemann watched its investments pay off. Since 2010, the company has seen organic growth on both the trust and wealth-management sides of its business, with its assets climbing higher and higher into the billions. This has given Tiedemann the luxury of bringing on additional advisors and support staff to keep up with the growth. In addition to its internal controls and client-first approach, Moran also credits the company’s efficiency initiatives with spurring its growth. Roughly five or six years ago, Tiedemann began teaming up with third-party partners in areas such as technology, custody, and other operations. By doing so, Moran says, the firm has been able to focus its own efforts on what it does best, which is working one on one with its clients. It also helped make Tiedemann’s 2016 merger with Presidio Capital Advisors easier. The deal helped propel Tiedemann from roughly $5 billion in assets in 2016 to the $12.2 billion it sits at now. One of Tiedemann’s goals with the merger was to extend its reach beyond New York and the East Coast. And, now that new offices are sprouting up, Moran says, communication and open-mindedness will be key to sustaining the firm’s growth and ensuring it remains a healthy workplace. Looking ahead in his own role, Moran says he’ll be tackling topical issues such as passive investing, shifts in the due-diligence process, and the refinement of cybersecurity.